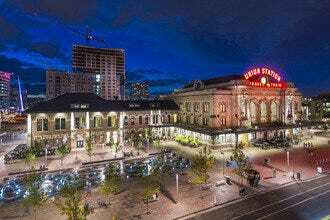 Don't leave Denver without experiencing life outdoors, be it a Rockies game, cycling along Cherry Creek or discovering the crazy-wonderful acoustics at Red Rocks Amphitheatre. 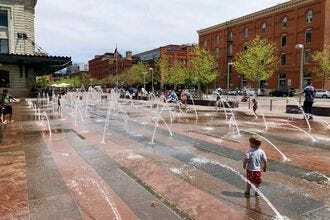 Denver’s cultural landscape is as rich and varied as its mile-high geographical setting. Even the city’s western roots are strikingly complex thanks to a history that includes Native Americans, African Americans, cowboys, miners and a long list of amazing women. Added to the mix are a multitude of artists and art lovers who have called Colorado home. All of that is reflected in this stellar collection of museums. Denver Art Museum is one of the largest art institutions between Chicago and the west coast, with more than 70,000 works in its collections. The Museum of Contemporary Art has no permanent collection; instead, its ever-changing exhibits mean there is always something new to discover within its walls. 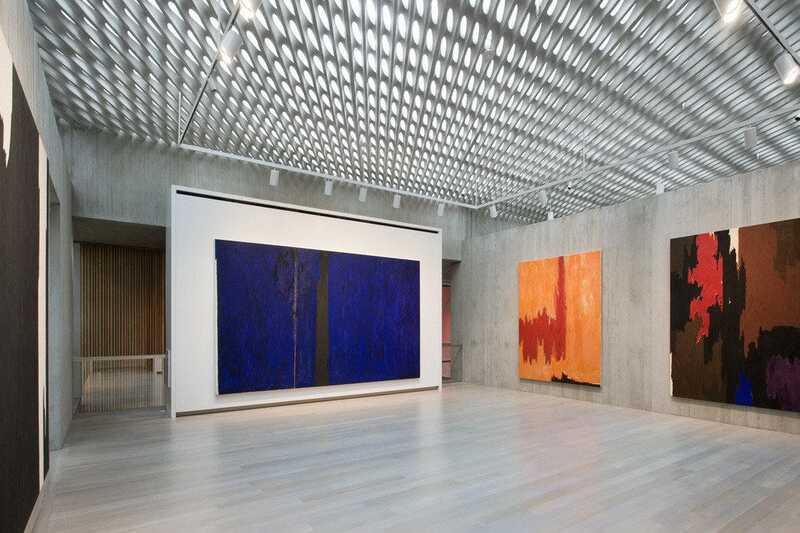 Adding even greater depth to the city’s cultural scene are two relatively recent arrivals, the American Museum of Western Art and the Clyfford Still Museum. History Colorado Center tells the stories of the men, women and children of many races who impacted the state’s intriguing timeline, while at Four Mile Historic Park, the city's oldest standing building and surrounding farm offer insight into the age of stage coaches and farming in the 1800s and early 1900s. 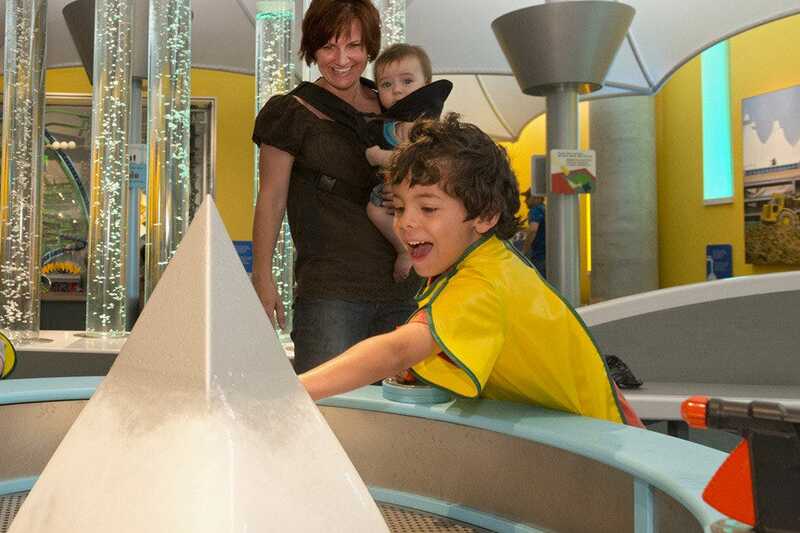 Science in multiple forms is explored at the Denver Museum of Nature & Science, a nationally recognized facility with eye-opening permanent and traveling exhibits. There’s so much more. Whatever your age and interests, Denver has a museum to enrich your experience and turn you on to something new and fascinating. Go explore! 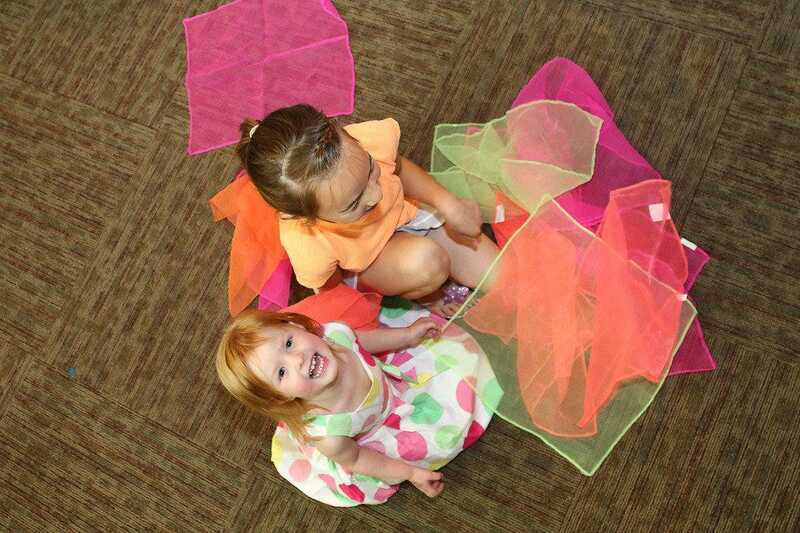 The Children's Museum of Denver is all about kid-powered learning, aka interactive fun and exploration. Among the most popular exhibits is Kinetics!, a space dedicated to physical science where kids build ramps and tracks to send bright orange balls soaring all over the room. Among the other engaging spaces are a 3.5-story climber, a water lab, an energy exhibit, a teaching kitchen and a giant outdoor adventure experience called Joy Parkthe name says it all. Meanwhile, perennial faves such as Bubbles, where the shimmery, popping science of bubbles is explored, and The Center for the Young Child, especially for little ones nine months to two years, continue to expand kids' minds and horizons. Located in Golden, Colorado, the museum building resembles an 1880-era small-town rail depot. It's painted yellow and brown, the colors of the Denver & Rio Grande Railroad. The museum tells the stories of those who rode and worked on the railroad, highlighting the significant contributions the railroad made throughout Colorado's history. 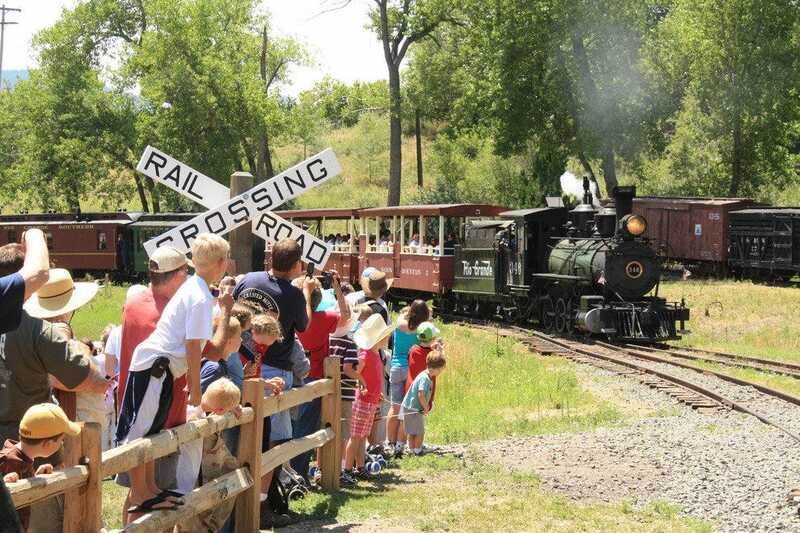 A hit with all ages, displays include locomotives, passenger cars, freight cars, cabooses, model trains, a roundhouse, a turntable, a water tank and other artifacts and paraphernalia collected from 125 years of trains in Colorado. The museum runs a variety of popular special programs and events, including Day Out With Thomas, which brings the beloved children's character Thomas the Tank Engine to town, and Ride the Rails Saturdays. There are also free days throughout the year, and the best way to keep up with what's offered is to sign up on the museum's website to receive news via email. 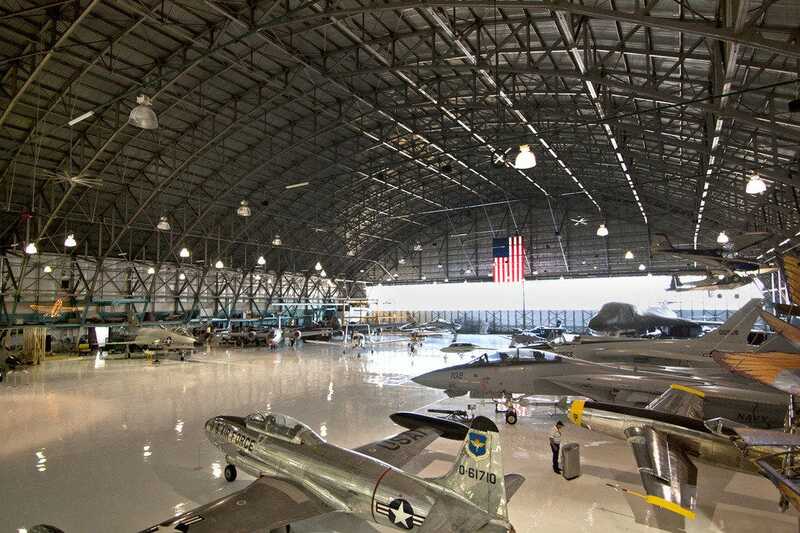 Wings Over the Rockies is an air and space museum in an historic World War II-era hangar built in 1939. The museum and hangar are located on the former Lowry Air Force Base. Exhibits cover the years from World War I up through the space age, and include such items as an Apollo Command Module replica used by NASA to train astronauts for the Apollo moon missions. Allow two to three hours to see everything. Check for upcoming Cockpit Demo Days, when kids of all ages can climb inside select aircraft to get a pilot's view of instruments and controls. There's no café at the museum but there are several casual restaurants in the neighborhood. The Clyfford Still Museum, which opened in 2011, gives visitors insight into the legacy of Abstract Expressionist artist Clyfford Still, whose contemporaries included Jackson Pollock, Willem de Kooning and Mark Rothko. Prior to the Museum's opening, the vast majority of Still's work was hidden from public view for more than 30 years. Still never lived in Denver; however, his will stipulated that his entire collection of works go to an American city willing to permanently house the collection and display only Still's work. Denver agreed and the museum was built. In addition to paintings, the collection includes Still's correspondence, personal library, record collection, photographs, 8mm films, art supplies and more. Standing in front of the massive canvases, some 15 feet tall, it's possible to understand why Still was a legend in New York's post-World War II artistic boom and why his legacy endures. Two tranquil terraces invite reflection. Replacing the Colorado History Museum, History Colorado Center opened in 2012 in a new LEED-certified building in the Golden Triangle Museum District. The new space gave the state's historical society the opportunity to start from scratch, creating new ways to interpret Colorado history. 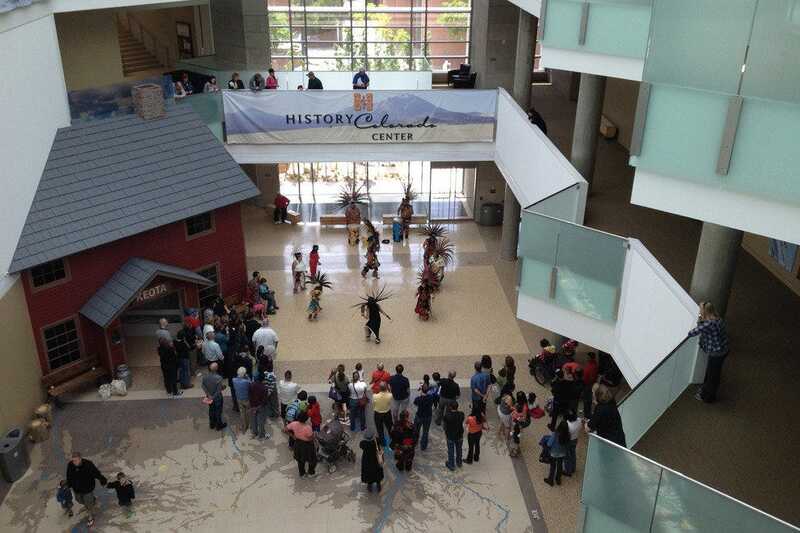 Exhibits highlight the courage, persistence, triumphs, tragedies and character of Colorado's first residents, including Native Americans, white and African American settlers, men, women, children, the famous and the infamous. Exhibits offer interactive and digital experiences, including a virtual look at sailing off Steamboat's 1915 ski jump, life in a Japanese relocation center during World War II and life in a 1920s farming town. 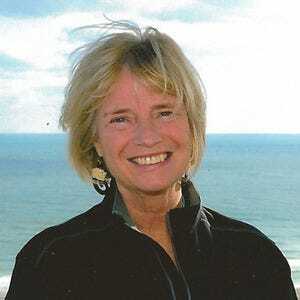 Living West tells the stories of Mesa Verde, the Dust Bowl and today's mountains. For those mesmerized by the Denver 1860 Diorama exhibited in the old museum for nearly 75 years, good news: it's here, too. 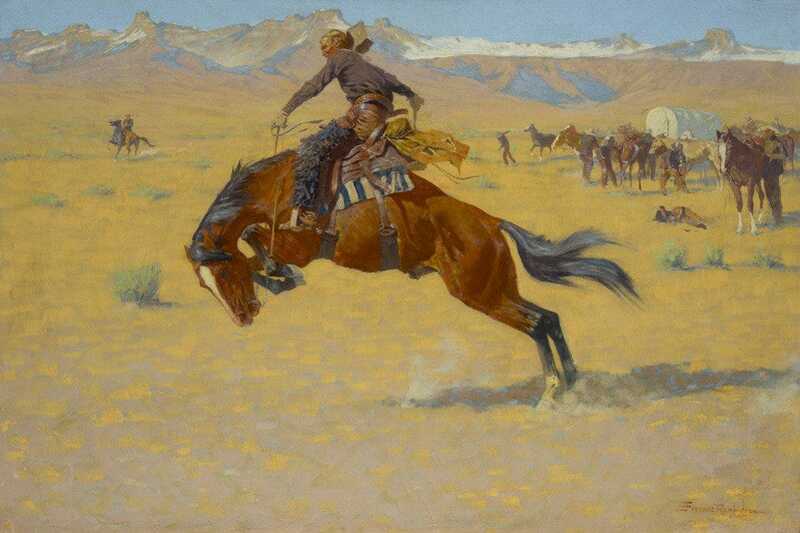 The Museum was founded in 2010 as the permanent home for The Anschutz Collection, a formerly private collection of paintings that surveys the art of the American West from the early 19th century to the present. The collection, housed in the historic Navarre Building, includes examples of early American expeditionary painting, the Hudson River School, all the way through American Modernism and Abstract Expressionism. The paintings are exhibited salon style, floor to ceiling, a nod to the 1880 building and in keeping with the way paintings were often exhibited in the 19th century. This means that the majority of the collection can be kept on view permanently. Docent-led tours last 1.5 to two hours. 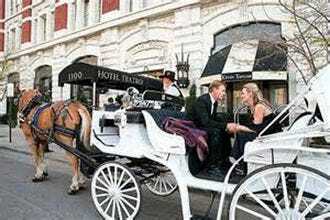 Self-guided audio tours last about 1.5 hours depending on a visitor's own pace. The Museum of Contemporary Art Denver opened in 1996 in a renovated fish market, then moved to its present spacious facility on Delgany Street in 2007. In keeping with the theme of creative experimentation with art and ideas, the building was designed to minimize boundaries between the city outside and the galleries inside. Hidden skylights fill exhibit spaces with natural light and a multitude of windows bring Denver's streetscape in. 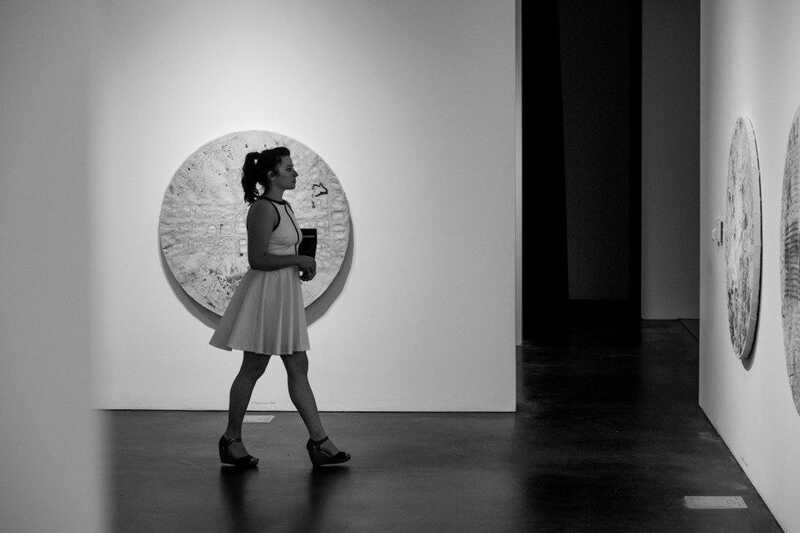 A range of regional, national and international artists and exhibitions rotate in and out of the museum, typically staying for two to four months. There is no permanent collection. There are, however, special events throughout the year, including a summer rooftop concert series on Thursday evenings. Visitors can grab a bite to eat or enjoy a glass of wine at the museum's cafe and bar, and shop for quirky items from around the world in the compact museum shop. 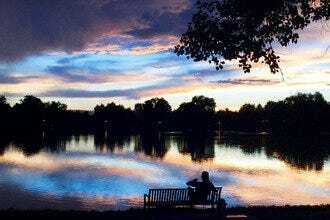 Four Mile Historic Park tells the story of Denver's oldest standing structure and the 12 acres around it. Four Mile House (now Four Mile House Museum) was built in 1859. In 1860, a widow and her two teenage children opened it as a stage stop for weary travelers who could wash up and have a home-cooked meal or spend the night before traveling the last four miles into Denver. In 1864, Levi and Millie Booth bought it, and the Booth family remained there until the 1940s. Today, visitors can see historic and reproduction buildings; take a guided tour; pan for gold; visit the farm's horses, goats and chickens; attend special events related to farms and Western history; and learn about long-ago Denver and the Cherokee Trail. 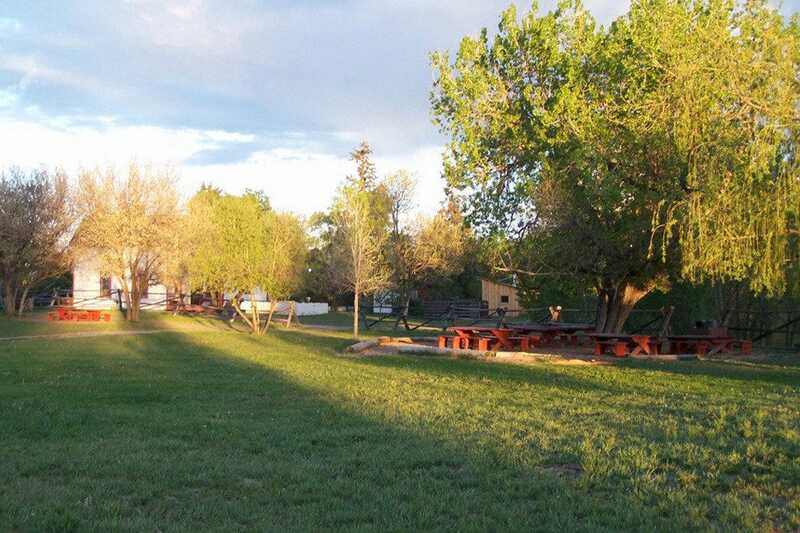 Four Mile Historic Park is a rural gem within the urban city limits of Denver, a worthy visit for all ages. This excellent museum makes learning about science, health, nature and human history fun. With a focus on interactive exhibits, DMNS is very much a hands-on experience and utterly engaging for all ages. It's possible to spend an entire day here and not discover everything. 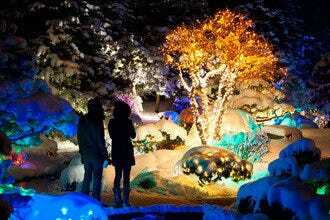 But for families with young children, it can also be experienced one cool exhibit at a time. Don't miss the Discovery Zone on level 2 where dinosaurs, construction, science and more await young explorers. Egyptian Mummies never fails to fascinate, but there's also the intriguing Gems & Minerals exhibit, and, of course, Prehistoric Journey, which takes visitors back 3.5 billion years. The stellar planetarium and Phipps IMAX Theater are just icing on the cake. When it's time to take a break there's the convenient T-Rex Café, and don't miss the sweeping city and mountain views from the third-floor sky terrace. Denver Art Museum is highly regarded for its collection of Native American art, which includes over 16,000 pieces from more than 100 tribes across the US. The seven-story North building also houses impressive displays of Pre-Columbian and Spanish Colonial art and textiles, a fascinating Asian collection, and a fine assortment of modern American and European paintings. The Architecture, Design and Graphics galleries are notable as well. In 2006, the Frederic C. Hamilton Building, a soaring structure of steel and glass designed by renowned architect Daniel Libeskind, opened its doors across 13th Street from the original building. 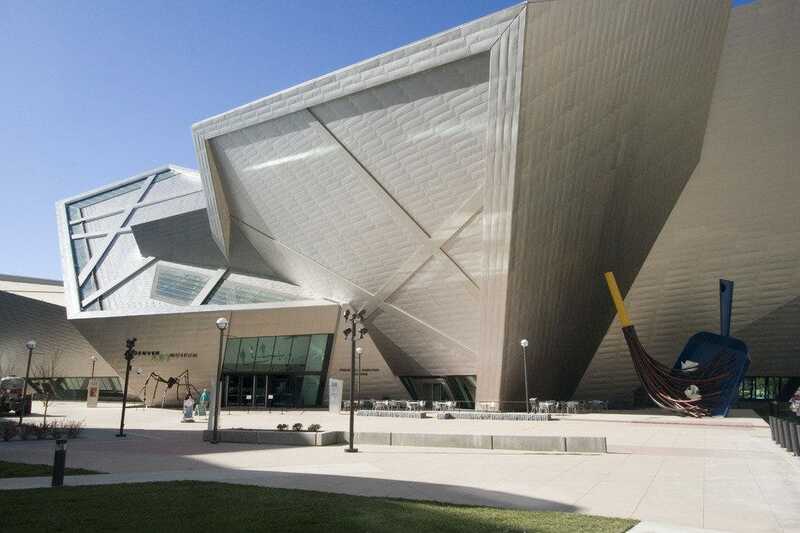 Libeskind's masterpiece, a work of art in itself, dramatically increased the museum's gallery and education space and redefined the Denver skyline.